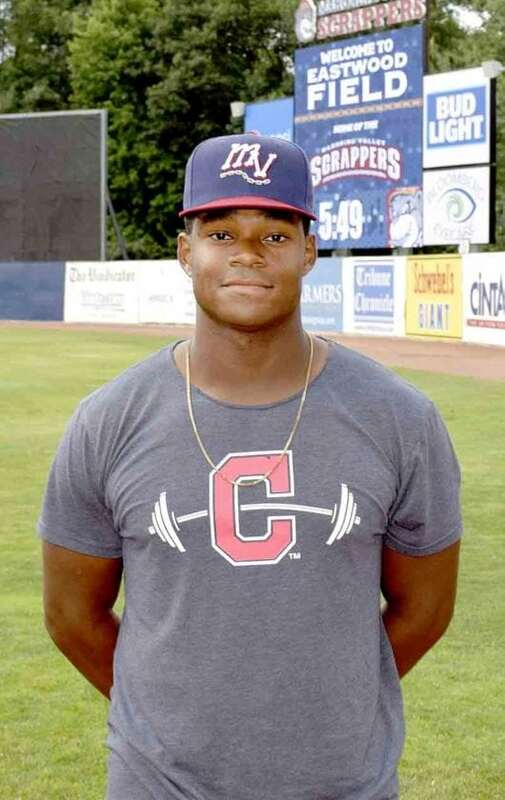 Tribune Chronicle / John Vargo Mahoning Valley Scrappers outfielder Hosea Nelson was a ninth-round draft pick of the Cleveland Indians in 2016. NILES — Hosea Nelson is asked the question endlessly. He grew up on the west side of Detroit, near 6 Mile Road. Yes, nearby the famed 8 Mile. Does he know Eminem? The recurring question can be exhausting as the Mahoning Valley Scrappers outfielder tries to have fun with those persistently inquisitive people. “I say, ‘Yea, he’s my cousin,’ “ said Nelson, who drove in the winning run for the Scrappers in Saturday’s victory over Williamsport. There’s an actual family tie more useful in his professional baseball career. Daniel, Aaron and Bruce Fields came up with the All Fields Hitting Baseball Academy in Southfield, nearby where Nelson grew up. Daniel and Aaron spent most of their time in the minor leagues. Aaron actually played at Mahoning Valley in 2010 and with the Lake County Captains in 2011. Bruce, a Cleveland native, spent time as a hitting coach with the Cleveland Indians and Detroit Tigers organizations. Their baseball academy gives aspiring inner-city players opportunites that Nelson never had as a youngster. Nelson, who is batting .295, had to drive at least 40 minutes to get that kind of instruction. “It’s definitely a blessing,” Nelson said of All Fields Hitting Baseball Academy. He and a couple of other minor league players head to All Fields for offseason training, so do the youth of Detroit, which is why the facility was built. “The fact that this place is a real centralized location for inner-city kids is really convenient. It’s definitely a huge help,” Nelson said. He and his father were learning about the game, maturing as the years progressed. “I got by on work ethic and talent growing up from those parts,” Nelson said. “The older I got, the longer I started to play. The better he got in terms of being able to coach me. We started hiring different coaches and whatnot. Nelson was 13 years old when he appeared at a professional showcase, one of the youngest players there. He never wavered from what his ultimate goal was, being a baseball player. Always be ready, that’s Nelson’s motto. “The best thing you can do if you have one opportunity is train like the opportunity is right around the corner,” Nelson said. “You never know when it’s going to happen. Nelson, who hit his first home run of the season Monday — a three-run shot over Williamsport, is named after a prophet from Biblical times. The name Hosea means salvation. When times got rough for the Mahoning Valley Scrapper, he had something to fall back on — his name. The 21-year-old outfielder was in a quandary in 2015, he thought his baseball career was over. Clarendon (Texas) Junior College revived his hope in a game in which he gave so much passion. The next year, he was an All-American and a top-10 round draft pick.